Set on several levels, this house, in one of the most exclusive residential areas on the Riviera, has glorious views of the Mediterranean. The state-of-the-art interior has been impeccably designed, and, outside, you’ll find a summer kitchen and extensive terraces. This recently restored 1940s cedarwood house is one of Kenya’s most exceptional surviving examples. It has wonderful views of Mount Kenya and the Lolldaiga Hills, and is a superb spot for birdwatching. Nearby reserves provide game drives, walking safaris and riding facilities. This contemporary villa of 3,444sq ft, constructed on three levels in sloping grounds, has expansive terraces and a pool from which to enjoy the views of Cap Ferrat, port of Beaulieu and the bay of Ville-franche. A huge reception room has large bay windows, and a lift links the parking facilities to the villa. A perfect romantic getaway that’s within easy reach of the beach at San Telmo and the harbourside restaurants and cafes in Puerto Andratx, and yet is set back from the busy towns on the coast. 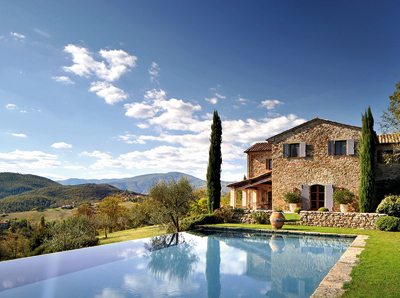 The house enjoys views towards the village and the mountains, and comes with a brand-new kitchen and terraces for eating outdoors. 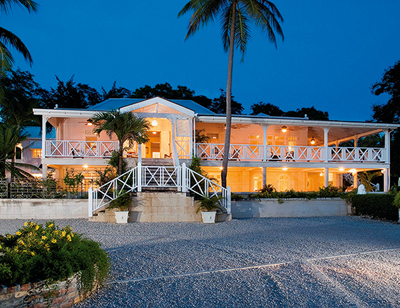 A traditional Barbadian plantation house that dates from the early 1700s, this original Georgian structure has been lovingly restored by the current owners and boasts local features such as coral-stone walls and pickled wood tray ceilings. 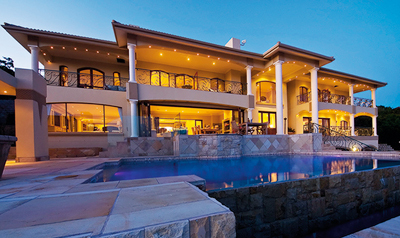 A wraparound veranda and balconies offer views down to the sea. Although not well known to British skiers, Zinal is a Valais village that lies at an altitude of 5,495ft (1,675m). It has 43 miles of downhill slopes, as well as 186 miles of marked trails for summer strolls in the pastures, making it a lively year-round resort. 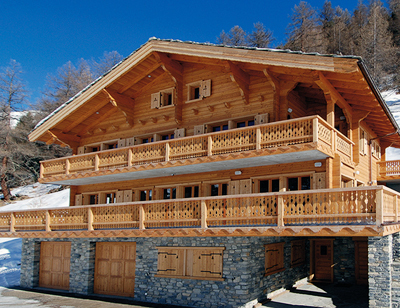 This chalet is equipped with all the latest technology, yet retains its traditional Swiss charm. 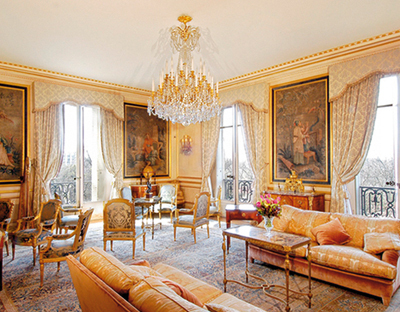 Avenue Foch is one of the most prestigious streets in Paris, and one of the most expensive addresses in the world. It’s home to many fine properties, including ones belonging to the Onassis and the Rothschild families. This 5,200sq ft apartment boasts ceiling heights of 16½ft, and classically elegant reception rooms. 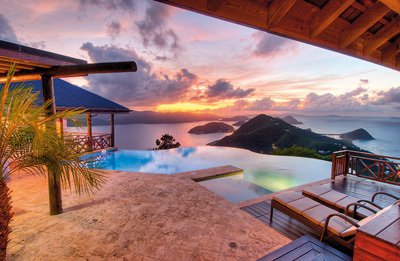 This brand new house is a contemporary Caribbean cottage on a grand scale. On a clear day, you can see to Puerto Rico from the cloud-shaped infinity pool, and the media room provides a retreat from the midday sun. 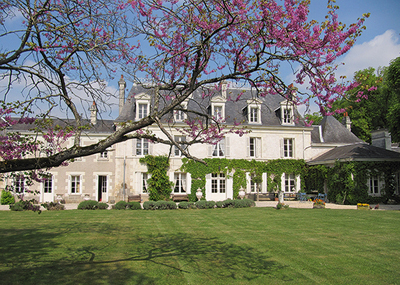 A fine example of a Loire valley château that, although large enough to satisfy the appetites of the most sociable of house-party hosts, remains, for the most part, one room deep, which allows wonderful views over the grounds from all the rooms. The pool is set in a super rose garden. 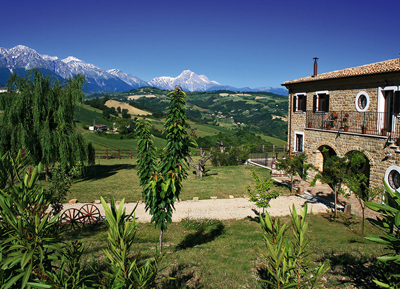 This immaculately renovated farmhouse overlooks the Gran Sasso mountain range of Abruzzo, famous for walking, birdwatching, bear tracking and skiing. The sandy beaches along the Adriatic coast are also within easy reach. With views over the lagoon and famous Knysna heads, this modern house, which is currently being run as a guest house, is equipped with under-floor heating, air conditioning (in the main bedroom) and an infinity pool and Jacuzzi. 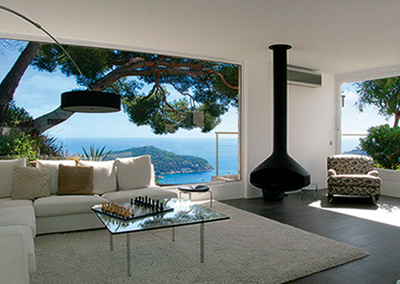 Guests boast that it has the best views in the area. One of the superbly restored farmhouses on the Castello di Reschio estate, which straddles the border between Tuscany and Umbria, Casa del Leone is an idyllic country retreat. Full concierge services are available to all owners, and facilities include riding, tennis, and wild-boar hunting in season.